Eco Marine Power (EMP) is dedicated to developing energy-efficient marine vessels, and they just unveiled their latest ship design – the Aquarius Unmanned Surface Vessel (USV). 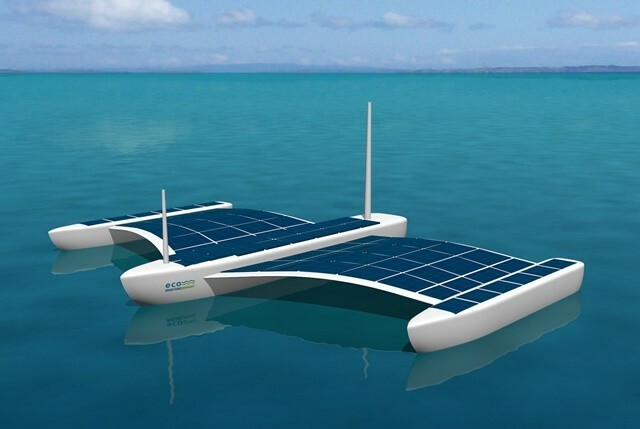 Developed to incorporate a number of cutting-edge technologies, the hybrid solar-electric USV boasts an array of lightweight and flexible solar panels specifically designed for marine vessels. Powered by a solar-electric hybrid marine power solution, the Aquarius will feature a solar panel array designed by EMP, which will power on-board batteries. The vessel will also be fitted with an EMP-designed sensor pack, which includes several unique sensors that willl be able to collect data from above and below the waterline. All data recovered can then be transmitted via state of the art communication arrays. The Aquarius USV has also been designed to have a shallow draft and low height, which will allow it to operate on urban waterways, rivers, bays and lakes, in addition to the high seas. The masts can even be lowered to give the vessel ‘stealth’ capability! And while it might seem that the Aquarius has been designed for coastal missions outside of hostile countries, EMP says that typical missions for the vessel will include monitoring harbor pollution, oceanographic surveys, maritime park surveillance, coastal border patrols and marine data collection. A variation of the Aquarius USV will include a stand-alone version of EMP’s unique EnergySail technology in order to extend the vessel’s range and allow for additional sensors to be fitted. A prototype is scheduled to commence operational tests during 2015. The Aquarius USV uses the latest Eco Marine Power technology. 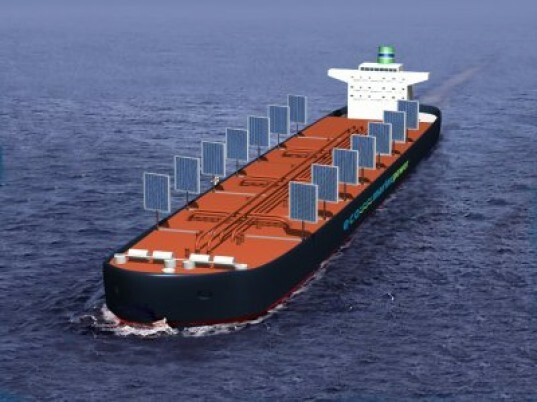 The Aquarius will use EMP's solar sails.